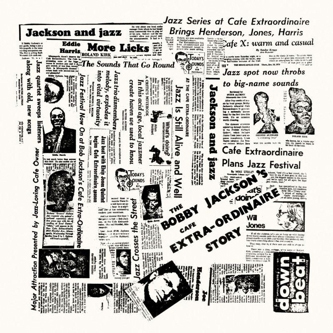 The seventh release in Jazzman's Holy Grail series, this album sheds light on unsung jazz hero Bobby Jackson, reissuing his 1966 LP, filled with deep, modal and progressive sounds. "You won't find the name Bobby Jackson in the jazz books. Yet here is a remarkable man who did more than anyone to promote live jazz in his hometown of Minneapolis, risking everything to open a venue for jazz lovers and putting on such luminaries as Freddie Hubbard, Roland Kirk and Elvin Jones. In so doing he rode the wave of financial insecurity, dealt with problems involving drugs, the law and the police, not to mention the issues and temperaments of the musicians themselves. Yet he still managed to keep things together enough to record a truly deep and inspired album with his band - although it took another 8 years before it was finally released, albeit in minimal quantities and with zero distribution!"